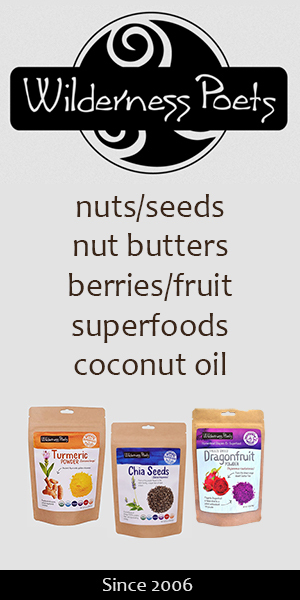 Good fats are derived from natural plant fats and their unrefined, non-hydrogenated oils. We need a certain amount of these fats in our diet in order to live and thrive at optimal levels. It is imperative, however, that we consume the right type of fats and largely avoid the bad ones which can have negative consequences on our health over time. Both saturated and unsaturated fats, in proper proportions, are healthy to the body, especially when they are eaten in their raw state as opposed to heated or highly processed. Changing the types of fats you eat and consume on a regular basis can help to reduce the risk of many common health conditions as well as actually assist in protecting against cardiovascular disease rather than be the cause of it. Fat is a necessary substance for optimum brain function and the fats we eat have a strong influence on our mental faculties, from the time of our birth to our elderly years later in life. When healthy fats are digested they are broken down into fatty acids of varying lengths. These molecules help to nourish the brain and provide building blocks for its cell membranes like the myelin sheath, which insulates the brain's neuron fibers. Myelin, a white fatty material, serves to greatly increase the speed of signal transmission. Consequently, a loss of essential fatty acid concentrations in the brain have been shown in research to cause cognitive decline and impairment. The fats we eat are also needed to create special types of fat that incorporate into the casing around our cells. Every cell has a membrane and the membrane, like a "protective shield", is made mostly out of fat. Fatty foods affect the body in many ways and have a influential impact on hormonal activity. They are additionally an energy burning fuel source, required for the absorption of fat-soluble vitamins and help to keep our skin supple and soft. Adequate intake of these good fats and their oils, along with a health promoting diet and lifestyle, has been shown to reduced a number of health related problems including neurological conditions, high blood pressure, diabetes, obesity as well as depression and heart disease. Typically, depending on one's unique constitution, your total fat intake should be between 20-40% of your daily calories. This percentage is, of course, contingent on the amount of energy expended on any one given day. The higher fat percentages are specific for those who are highly physically active and tend to burn dietary fat as an energy source. Saturated fats are chains of carbon atoms that have no double bonds and are "saturated" with hydrogen atoms. These are oils and fats that are solid at room temperature. There are several types of saturated fatty acids, but the most common are stearic acid, lauric acid and palmitic acid. We need some saturated fats in our diet, but this is largely determined by the amount of physically activity conducted throughout the day as well as our unique body type and the kinds of foods we predominantly burn as energy. Generally speaking, total saturated fat should not be more than 10% of our daily caloric intake. Saturated fats are known to slow down the absorption of foods so you feel satiated for longer periods of time and are also important for assimilating the fat-soluble vitamins A, D, E and K. There are different classes of saturated fats, however, some being healthier choices over others. Good fats that are saturated have fewer carbon chains and are called "medium chain fatty acids." MCT's are easy to digest and have been linked to health benefits such as weight loss. They tend to be the most stable and are less affected by heat or light. 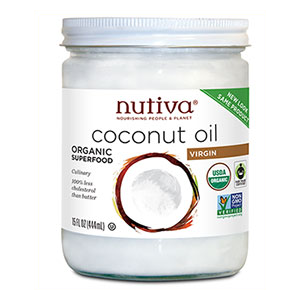 Oils like cold pressed, virgin coconut oil and red palm oil are two good examples of this type of healthy saturated fat. Saturated fats that have longer chain fatty acids can have detrimental effects on the cardiovascular system when eaten in large quantities on a regular basis. These types of fats come from meat, eggs, and dairy products. 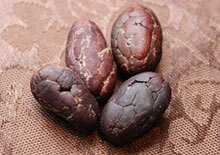 When over-consumed, they are known to significantly raise blood cholesterol and cause numerous heart and health issues. Long chain saturated fats are beneficial only when eaten in moderation along with fibrous whole plant-based foods. Unsaturated fats have a double bond in their carbon chain and are liquid at room temperature. 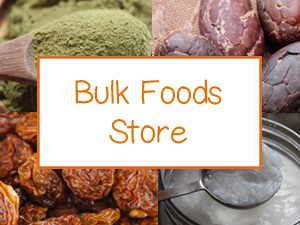 These fats are mainly sourced from plant fats and include both monounsaturated and polyunsaturated fat. Monounsaturated fats, also called MUFAs, are carbon chains that have one double bond present. 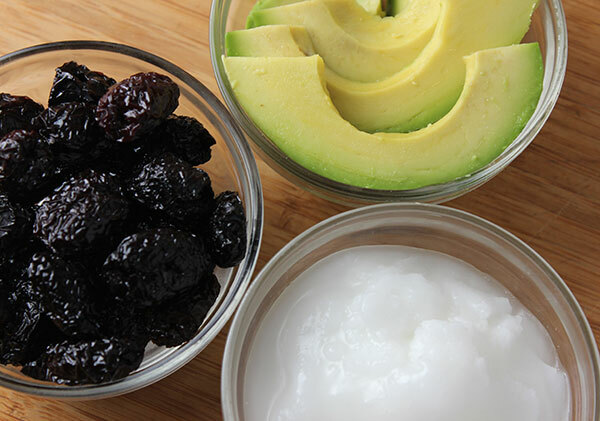 These types of fats are seen as healthier fats to consume over saturated fat varieties. However, there are certain types of monounsaturated fats we would recommend consuming over others. They are found in abundance in raw plant fats and their oils, especially in the form of oleic acid. Some examples of healthy monounsaturated fats are olive oil, avocados, olives, nuts and seeds. We do not recommended heating or cooking with these types of fats or their derived oils as it denatures their molecular structure, turning their good fats into bad ones. In addition, we would largely avoid refined monounsaturated vegetable oils like soybean or canola oil. These oils involve a harsh extraction process that employs the use of the toxic solvent hexane to bleach and deodorize them. This is not the case with most olive oils, but it is best to use unrefined extra virgin monounsaturated oils whenever possible. Polyunsaturated fats, or PUFAs, are the essential fatty acids that have two or more double bonds in their carbon chain. 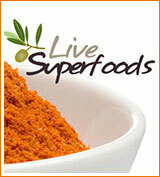 They are also called omega fatty acids and include both omega-6 and omega-3. Omega fatty acids are the good fats that everyone needs to consume on a regular basis, but they are the most volatile to heat or oxidation, and thus damaging to the body when heated. Omega-6 acids (linoleic acid) need to be consumed in proper proportions to omega-3's (alpha-linolenic acid). The general standard for this is between a 4:1 or 1:1 ratio. This means than for the amount of omega-6 foods you consume, you would need to eat at least 1/4 of that amount in omega-3's. In a typical Western diet, high in refined vegetable oils, omega-6 is much higher than omega-3 at between an average 10:1 to 20:1 ratio. It is very important that a health promoting diet include plenty of omega-3 fatty acid foods. 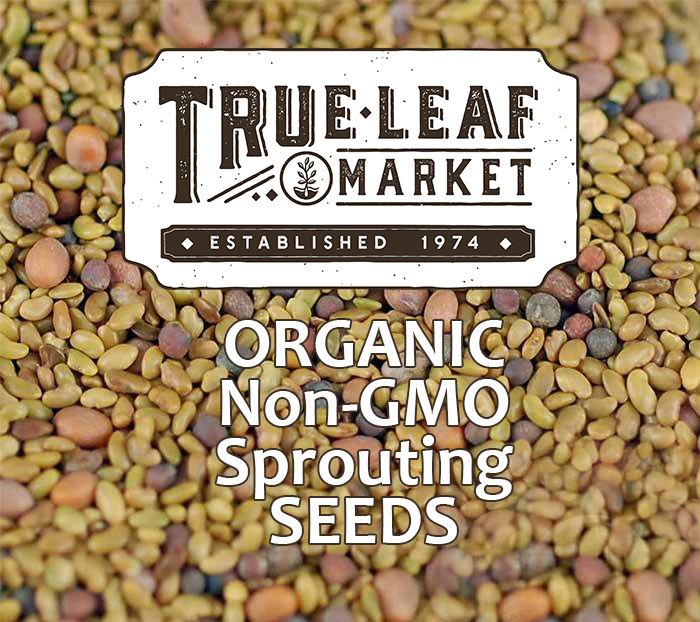 ALA omega fatty acids are in green leafy vegetables, micro-algaes, raw fish, chia seeds, flaxseeds, hemp seeds, sacha inchi seeds, with small amounts available in seaweeds, walnuts and sprouts. Some of these foods can also be concentrated into oils for supplementation purposes. DHA and EPA, two essential fats needed for proper neurological functioning and inflammation control, are converted from ALA and can be consumed directly through algae and fish oil sources. Omega-6's are especially concentrated in refined vegetable oils such as corn oil, cottonseed oil, sunflower oil, safflower oil, peanut oil and sesame oil. They are also found in abundance in grain-fed animal meat protein and dairy products. Avocados, olives as well as nuts and seeds also contain some degree of omega-6 content. Trans fats are the "ugly fats" you want to consume in minimal quantities or avoid all together. These types of fats have been altered by a process called hydrogenation to increase their shelf life, not your life! Trans fats are a source of harmful free radicals and proinflammatory compounds. They are known to raise LDL cholesterol and can significantly increase risk of heart disease and neurodegenerative conditions. These fats include hydrogenated or partially hydrogenated oils from plants like soy, sunflower, canola, cottonseed and corn. In addition, most of these foods are genetically modified and are largely void of any nutritional value. They are found in many packaged foods and fast foods and are the polar opposite of good fats the body needs and thrives on. Refined vegetable oils are nearly just as bad as hydrogenated trans fats. Most common vegetable oils sold, like safflower, canola, and corn, have gone through a refining process to increase oil stability for storage purposes. This strips away all nutrient content and deodorizes the oil at high temperatures of up to 500°F (260°C). Cooking monounsaturated or polyunsaturated fats or oils denatures them and produces harmful free radicals. They become dense and clog the blood, lymph and digestive system. In addition, high heat prohibits them from being digested and eliminated properly, producing excess weight gain, as well as increased strain on the liver. Healthy saturated fats are the best oils to use for cooking purposes as they are more stable at high temperatures and are able to maintain their nutritional integrity to a large degree. If you are going to choose an oil to cook with, coconut oil and red palm oil are the best oils to use because they are the most stable at high temperatures. They are, however, more beneficial to the body when consumed in their unheated state. It is commonly believed that cholesterol is some kind of saturated fat because it is often categorized alongside saturate fat in conversation. Cholesterol, however, is a waxy fat-like sterol substance that naturally occurs in the human body. It is needed to make vitamin D and some hormones, build cell walls and create bile salts that help you digest fat. Dietary cholesterol is found mainly in animal foods, like meat, fish, eggs and dairy. These types of food sources can raise both LDL or HDL cholesterol levels. Cholesterol is virtually non-existent in plant-based foods, which typically contain a cholesterol-like constituent called phytosterols, proven to be effective at actually lowering LDL cholesterol, the "bad cholesterol." This is our recommended list of health fats and oils that can be used to replace unhealthy, processed or refined fats in the diet. It is important to remember that consuming whole food fat sources are a better choice over large amounts of oil extracted concentrates. Coconut oil is the oil extracted from the fruit of the coconut palm species, Cocos nucifera, and contains medium-chain fatty acids that are easily digested and utilized as an energy burning fuel source, rather than stored as body fat. The oil is natural high in these good saturated fats (MCFAs) as well as lauric acid, which the body converts to monolaurin. Monolaurin is a natural antiviral agent helpful for eliminating parasites, viruses, bacteria, yeast and fungi. In addition to lauric acid the oil is also composed of other secondary saturated fatty acids, caprylic acid, capric acid and myristic acid. Coconut oil is one of the good fats under investigation as a dietary supplement for those with neurodegenerative diseases like Alzheimer's, serving as and alternative energy fuel for the brain. (Source) Consuming moderate amounts of the oil has also been shown to increase HDL "the good cholesterol" and improve thyroid function. It is one of the only oils we recommend for cooking, along with red palm oil, because it is very stable at medium-heat temperatures. 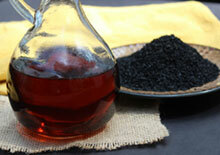 The oil however is best used raw and unheated in blended drinks and recipes to preserve complete nutritional profile. 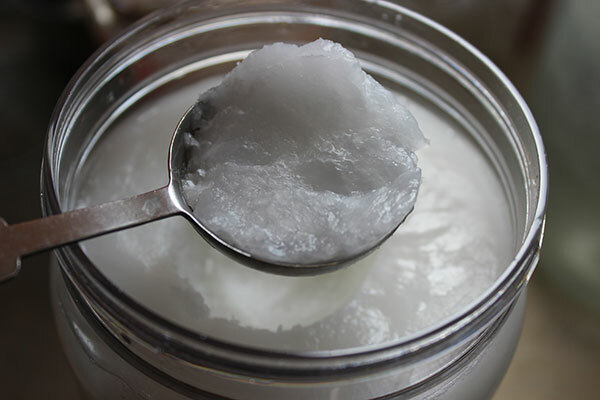 The coconut oil we consume and promote as a good fat is organic, virgin, unrefined, non-GMO coconut oil derived from low-temp processed raw coconut meat. This is oil that has not been refined, hydrogenated, fractionated, deodorized or bleached. 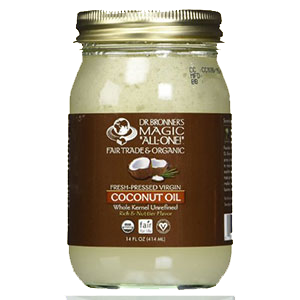 One tablespoon of coconut oil is 120-135 calories and approximately 14g total fat content with 13g saturated fat, 1g monounsaturated fat and 0.5g polyunsaturated fat. 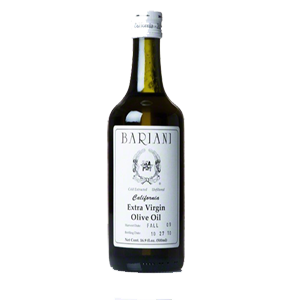 The best olive oil to use is raw unrefined extra virgin olive oil, which is typically a golden-green color. For highest nutritional benefits it is best not to heat the oil or use it for cooking purposed as it is highly volatile to oxidation. It is delicious drizzled over foods or added to raw unheated recipes. 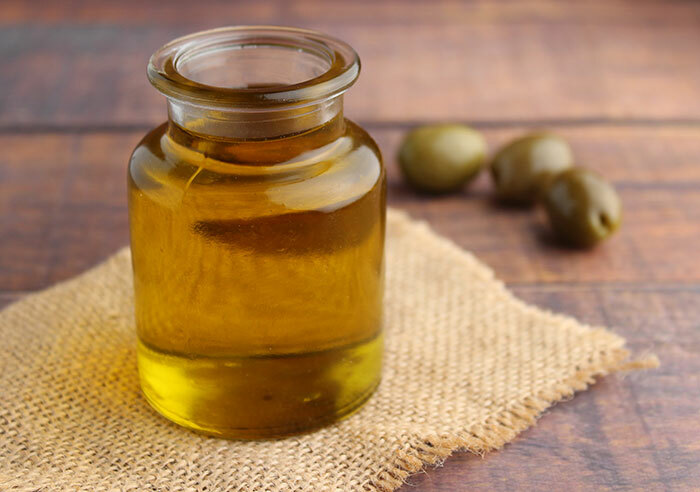 One tablespoon (14g) of olive oil contains 119 calories and has a total fat content of 13.50g with 1.9g saturated fat, 9.8g monounsaturated fat and 1.4g polyunsaturated fat. Red palm oil comes from palm fruit and is not the same thing as palm kernel oil or refined palm oil, which are both unhealthy oils to consume on a regular basis. Red palm oil is sourced from the African oil palm, or Elaeis guineensis species, and is composed of palmitic, stearic, oleic and linoleic acids. 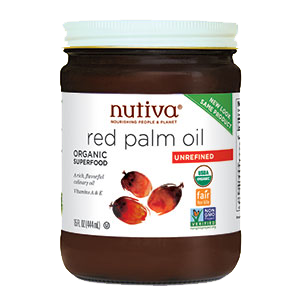 Similar to coconut oil, red palm is one of the few plant based saturated fats made up of "medium chain fatty acids." These are "good fats" to consume because they increase metabolism and are easily digested, providing an immediate energy source. 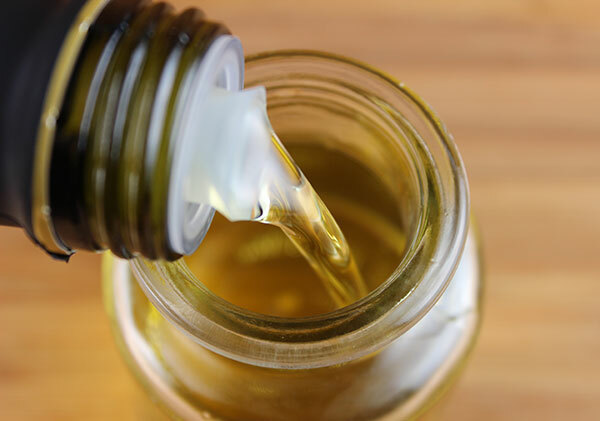 Because these medium chain triglycerides can't be stored as body fat, they can be healthier oil alternatives for those needing to loose body weight. High quality, organic red palm oil is minimally processed using steam to extract the oil before it is expeller-pressed. 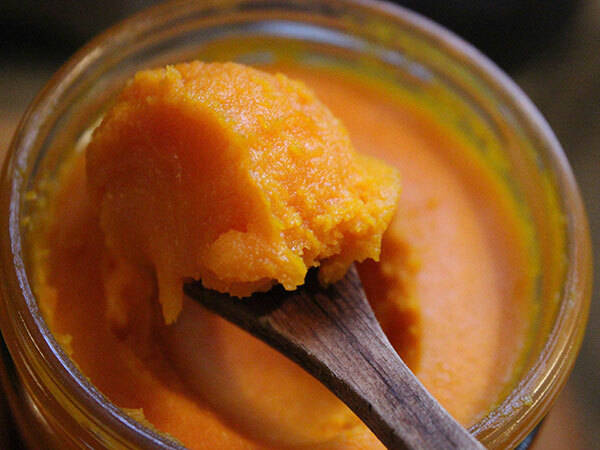 The oil gets its super rich orange-red color from the presence of carotenes, the main ones of which are beta-carotene, alpha-carotene and lycopene. As a saturated fat, it is highly stable at high temperatures and a better choice for cooking than monounsaturated oils. One tablespoon of red palm oil is 130 calories and made up of 14g total fat content with 6g saturated fat, 6g monounsaturated fat and 1.5g polyunsaturated fat. One tablespoon is 240% of the daily value for vitamin A and 25% for vitamin E.
Hemp seed oil is another type of good fat pressed from the seeds of the hemp plant, a tall seedy and fibrous Cannabis variety. As a highly nourishing oil, most are about 80% polyunsaturated fat and provide a balanced 3:1 ratio of omega-6 to omega-3 fatty acids. This ratio is known to be helpful for lowering the "bad" cholesterol and reducing inflammation in the body. Taken in capsule form or ingested as hemp oil, it can be used as a dietary supplement or as a nutty tasting condiment with foods. Consuming hemp oil is excellent for the hair and skin as it helps to nourish cell membranes and provides antifungal, antibacterial and antiviral properties. It is also high in the antioxidants vitamin E and beta-carotene and also includes the rare gamma-linolenic acid (GLA) and stearidonic acid (SDA). All polyunsaturated oils are extremely volatile to heat and light and can easily go rancid. It is therefore imperative that they be kept refrigerated to preserve their nutrient content and essential fatty acid structure. They are only beneficial when consumed as raw unheated oils drizzled over salads, meals or raw recipes and should never be used for cooking or sautéing foods. 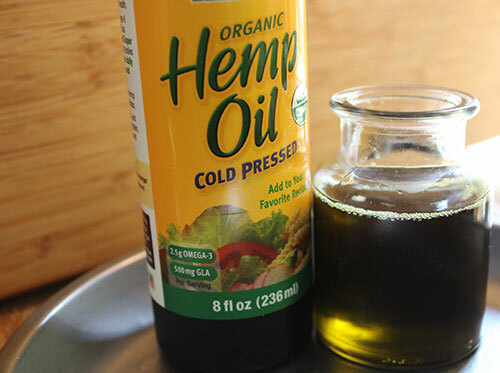 All quality hemp seed oil is unrefined, cold pressed, always dark in color and preferably preserved in dark glass bottles. 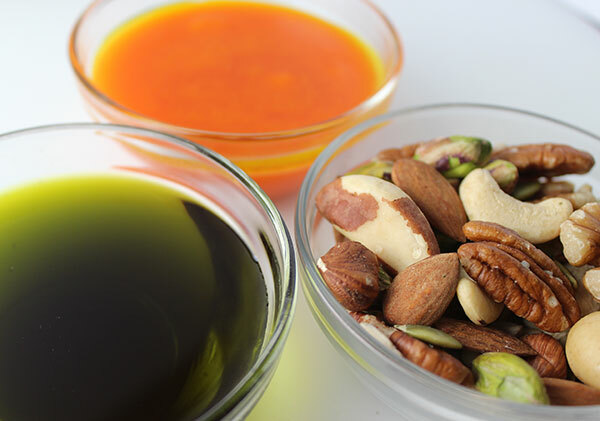 One tablespoon of the oil is 125 calories and made up of 12g total fat content with 1g saturated fat, 2g monounsaturated fat and 11g polyunsaturated fat. Flaxseed oil, or linseed oil, is a yellowish oil derived from the dried seeds of the flax plant species Linum usitatissimum. 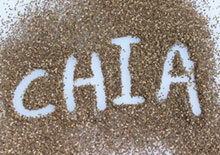 The oil was one of the first omega oils that was popularized in the health food movement in the 70's and 80's. Being a valuable source of omega-3 fatty acids, the seed extracted oil has been used extensively as a nutritional health supplement. 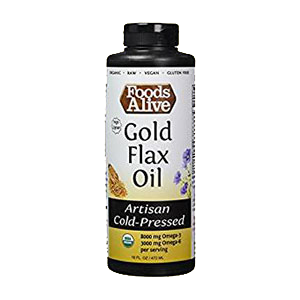 As with all the omega-3 oils, flax is extremely sensitive to oxidation and must be kept refrigerated to preserve its nutritional quality and should always be consumed in its raw state and never heated. Besides alpha-linolenic acid, the oil also contains oleic acid, linoleic acid and smaller amounts of palmitic acid and stearic acid. In a study published in the Canadian Journal of Cardiology it states that "it is logical to predict that a rich source of ALA like flaxseed should have strong beneficial effects in the primary and secondary prevention of cardiovascular disease." 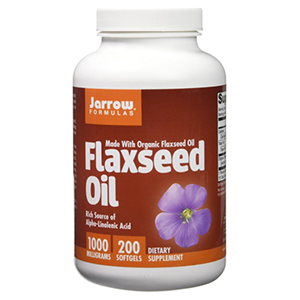 Flaxseed oil, in experiments at the Gerson Institute, was shown to be the only oil that did not make cancerous tumors grow in size. 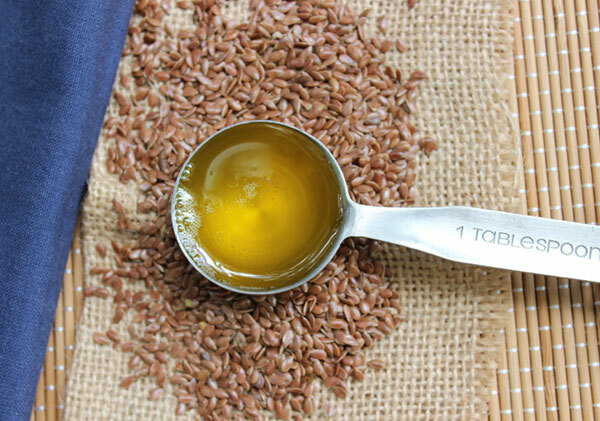 One tablespoon of flaxseed oil is 119 calories and made up of 13.5g total fat content with 1.3g saturated fat, 2,7g monounsaturated fat and 8.9g polyunsaturated fat. 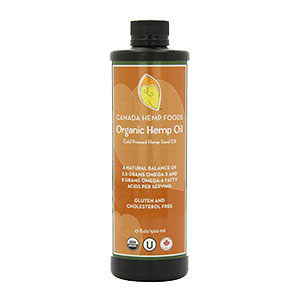 The oil contains 7196mg omega-3 and 1715mg omega-6 fatty acids. Sacha inchi oil is sourced from a tropical seed-producing vine, Plukenetia volubilis, and is native to the Peruvian Amazon region. 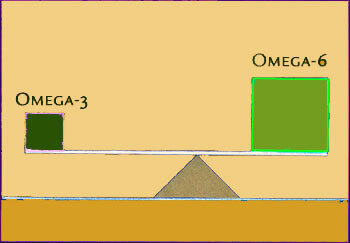 The oil is well-known for its higher amounts of omega-3 fatty acids that make up close to half of the total oil content. Concentrated in high amounts of tocopherols, consisting of both gamma-tocopherol and delta-tocopherol, it is a very nourishing food for the skin when consumed. The oil is also considerably sensitive to heat and light, being made up of mostly polyunsaturated fats and should be kept refrigerated to avoid rancidity. 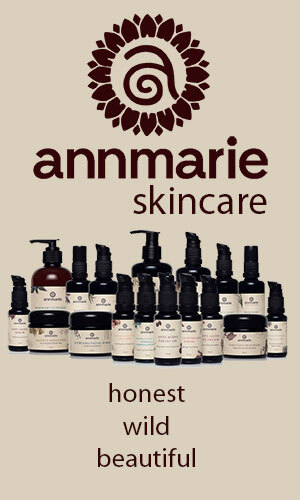 The best oil is unrefined, extra virgin and cold-pressed. It has a mild and nutty flavor and can be used on foods but should never be used for cooking purposes. 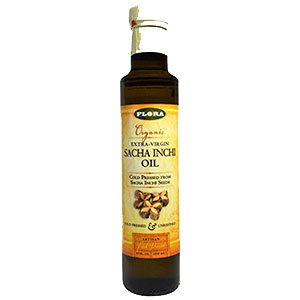 One tablespoon of sacha inchi oil contains 124 calories and has a total fat content of 14g, with 1g saturated fat and 12g polyunsaturated fat. One tablespoon of oil contains 6.5g of omega-3 and 3.7g of omega-6. Olives are actually the fruit of the tree species Olea europaea and are a source vitamin E, vitamin A, iron and calcium. Like olive oil, they are known for their high amounts of oleic fatty acid, a monounsaturated good fat to include in the diet. Green and black olives grow on the same tree but are essentially harvested at different times. 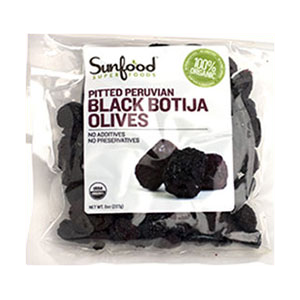 Green olives are picked in the unripened stage, whereas black olives are picked when fully ripe in which case they turn a darker purple or black color, depending on variety. 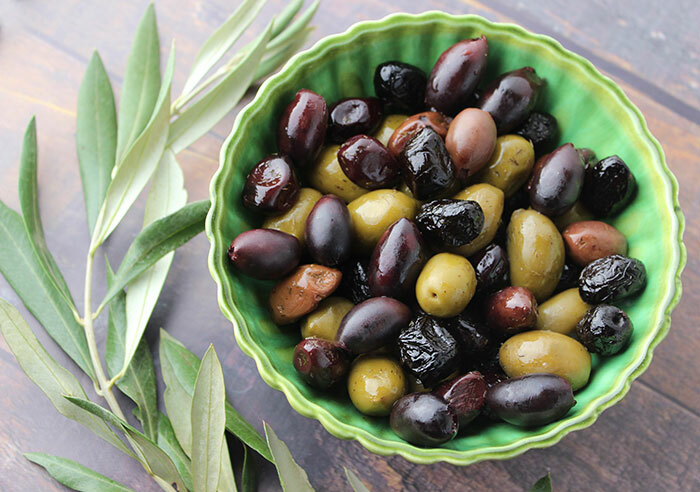 We personally prefer ripe black olives over green ones. Beware, however, that canned black olives are actually green olives that have been chemically darkened and are not types we promote consuming. When it comes to olive selection, we recommend seeking out quality brands and artisanal varieties that use natural curing techniques and sea salt as opposed to refined table salt. One ounce (or about 7 olives) contain 41 calories and 4g total fat with 0.5 saturated fat, 3g monounsaturated fat and 0.5 polyunsaturated fat. Because olives are usually high in salt content, they should be consumed in moderate amounts to avoid excess sodium intake. Coconuts come from the Cocos nucifera coconut palm species found all over the world in tropical climate locations. 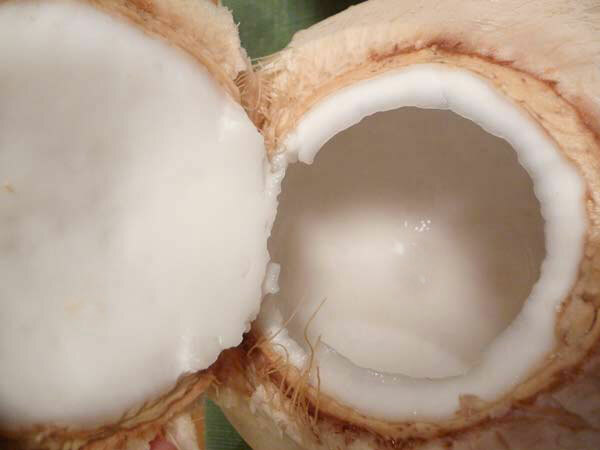 The white coconut flesh or meat on the inside of the hard shelled coconut is an energizing, nutritious, fatty food source and one of the best forms of raw, saturated good fat that you can eat. Consumed as fresh coconut meat, dried pieces or shredded flakes, coconut contains ingredients that nourish the skin and hair, regulate hormone production, support HDL "good" cholesterol levels and help to increase metabolic functions. Lauric acid, one of the main fatty acids in coconut, is useful for normalizing cholesterol by promoting LDL conversion to pregnenolone. The good fats in coconut meat additionally support healthy thyroid gland functions which also plays a significant role in regulating cholesterol as well as maintaining ideal body weight. Fresh coconut meat provides a rich, flavorful texture in shakes, coconut kefir and a variety of desserts. 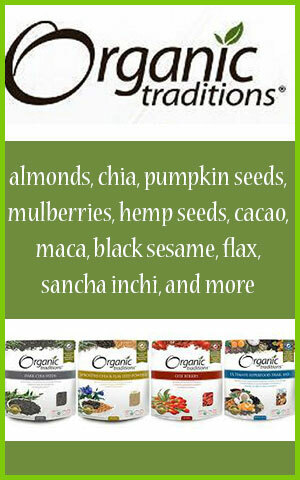 Raw dried coconut can also be soaked and added to drinks or used in recipes. 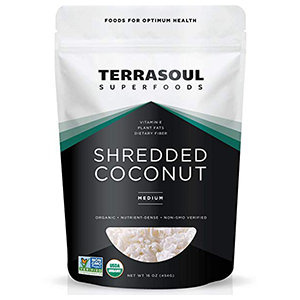 One ounce (28g) of fresh coconut meat contains 99 calories and 9g total fat with 8.3g saturated fat, 0.4g monounsaturated fat and 0.1g polyunsaturated fat. Avocados are a Mediterranean fruit tree species (P. americana) and probably one of the most common plant fats known around the world. Ripe avocados are made up of mostly monounsaturated fats and are sources of the antioxidants, vitamin C, vitamin E, xanthophyll carotenoids as well as pantothenic acid, vitamin K, choline, folate, Vit. 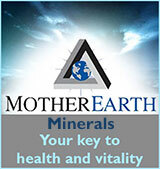 B6 and other B vitamins. They are high in fiber, phytosterols and according to an article published in the journal of Food Science and Nutrition, "There are eight preliminary avocado cardiovascular health clinical studies that have consistently demonstrated positive heart healthy effects on blood lipids profiles." In a same article it also states that "The consumption of avocados with salads or salsa increases the bioavailability of carotenoids multi-fold." Avocados are high on our good fats list as a convenient raw food to add to meals, salads and raw soups. Containing both lutein and zeaxanthin, they are great for the eyes and also provide a nourishing food for the hair and skin. 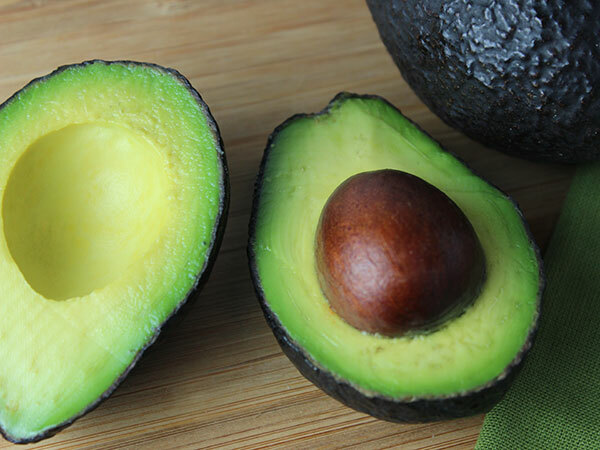 One ounce (28g) of ripe avocado contains 47 calories and 4.3g total fat with 0.6g saturated fat, 2.7g monounsaturated fat and 0.5g polyunsaturated fat. 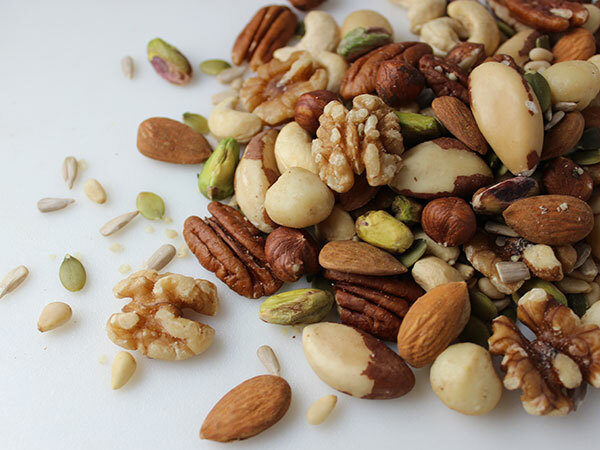 Nuts and seeds are a high energy dense fuel source, packed with concentrated protein, fatty acids, vitamins, minerals, fiber and other nutrients unique to the specific varieties. 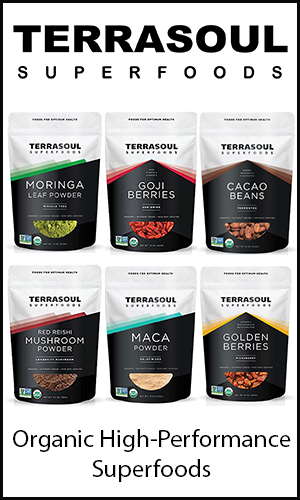 They are the perfect addition to a vegan, raw vegan or vegetarian diet, providing a quality alternative to many meat-based foods. The key to eating seeds and nuts is that "a little goes along way" as far as calories and nutrition. Some people can overeat nuts for they taste so good and are easy to snack on, but it is best to avoid the temptation. They are rich and tend to build up mucus and acidity in the body, especially if not properly balanced with other food selections. Nuts and seeds are easier to digest and assimilate when they have been soaked and strained (and sometimes sprouted) to remove phytates, lectins and other enzyme inhibitors that will impede their nutrient absorption. They can be soaked, processed and dehydrated into entrees that replicate traditionally served cooked foods such as: burgers, cheeses, milks, pizza and ice cream. Durians are an exotic tropical tree fruit native to Indonesia and Malaysia. The variety consumed and sold exclusively for export is the Durio zibethinus species. Often identified by their strong, sometimes off-putting sulfur smelling scent, durian's are a nutritious super fruit variety that provide beneficial nutrients to the skin and are known by aboriginal peoples as an aphrodisiac for increasing sexual libido. Being high in calories, they are especially energizing for intense physical activity and can help to foster weight gain, beneficial for depleted or emaciated individuals. The fruit's high thiamine, tryptophan and potassium content make it a desirable food for relaxing the nervous system, relieving anxiety and improving muscle tone. High in fiber, durian is helpful as a gentle laxative and, containing both carotenoids and vitamin C, additionally supports immune functions. This fruit is sweet and fatty with a custard like texture that to some palates tastes like vanilla pudding. Durians are not for everyone, most people love them or highly dislike them! Whole fresh durian can be purchased frozen at most Asian food markets if you don't happen to live in locations where they grow naturally. 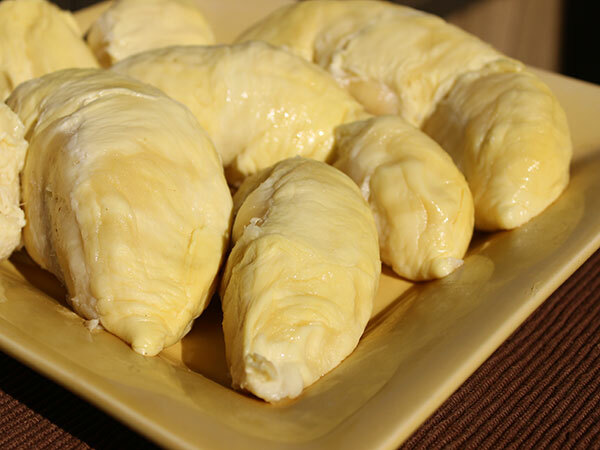 One cup serving (243g) of fresh durian fruit contains 357 calories and 13.5g total fat with 50-60% saturated fat content, along with amounts of monounsaturated fat and small concentrations of polyunsaturated fat. Fat and oil consumption and nutritional requirements are unique for each individual and one's current state of health. They should be avoided in excessive amounts, but are beneficial when consumed in appropriate ratios within a health promoting diet and lifestyle.